Unsuccessful people are usually their own worst enemies without even realizing it. Everyone has a streak of tough luck now and again or bad timing, but unsuccessful people usually exhibit character traits that limit them and what they are able to accomplish. 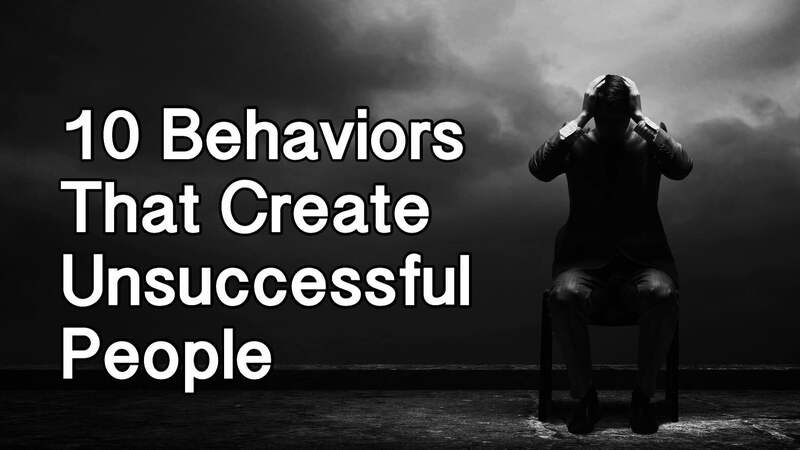 Without realizing it, they sabotage their own success, and sometimes, the success of others with a win-at-all-costs mentality. Successful people tend to be bold individuals who take risks and own their mistakes in order to become better and more skilled. They leave projects unfinished. They are great at starting things, but lack the discipline and grit to finish something when things get tough. When they fail, they either blame others or make excuses for why they failed. Rather than analyzing the cause of their failure and coming to terms with their own shortcomings, they push the responsibility off on someone else. Because they cannot see their own shortcomings, they do not like it when other people point it out to them. They get very upset if you suggest that their failure is actually their fault. They develop a victim mentality. They fail to see the positive effects of anything people do and focus solely on the negative. They also tend to surround themselves with other negative people who reinforce each other’s victimhood and persecution complex. When they can’t get ahead on their own merits, they will seek to drag others down instead in order to raise themselves up. They will undermine coworkers or friends in order to seem more successful or knowledgeable than they really are. Successful people tend to be outspoken personalities who embrace their individuality and unique ideas. Unsuccessful people try to blend in and not rock the boat. This stems from a fear of failure and criticism. They embrace the idea that the nail that stands out gets hammered down. They have an unhealthy need for the approval of others. Most people like approval and validation, but unsuccessful people bind their own self-worth to the approval of others. If they don’t get that approval, they tend to give up or back off rather than push through towards success. Rather than take the initiative to fix something before it breaks, they wait until there is a crisis to act. They are passive rather than proactive. The road to success is long and tough. 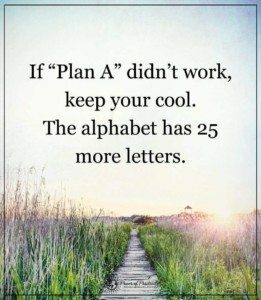 It requires dedication to a single plan and the determination to see that plan through to the end, even through the really hard times when things seem on the verge of failure. Unsuccessful people will take short cuts in order to avoid that long, hard road. They are both impatient and lazy. They want success now, not in ten years. They are not willing to put the hard work in and make the sacrifices necessary in order to achieve their dream. So, they cut corners and do the minimum amount of work and hope no one notices or calls them out. Much of these behaviors stem from fear. Fear of being criticized. Fear of failing publicly. Fear of their own shortcomings. Fear of responsibility. Fear of increased expectations. They are afraid to stand out because they may be held accountable. They may fear the increased responsibilities and expectations that real success brings with it. It is one thing to fail in obscurity, but it is much more frightening to fail when in the spotlight. Most people will not seek positions of power or public fame for fear of the scrutiny they fall under. If they screw up in powerful or public positions, then the eyes of the world will be on them and most people cannot handle that kind of intense public scrutiny for very long. It takes a lot of courage or intense narcissism to want that kind of position where the public will take notice when you screw up. In a world of social media and the 24-hour news cycle, being successful often means having your failures paraded through public and being ridiculed by people who don’t even know you.